Harbinger or Hoax: A New Painting of Kim Jong Un? Harbinger or Hoax: A First Painting of Kim Jong Un? Ever since Kim Jong Un was introduced to the public in late September 2010—when he was first promoted to the rank of general and then received a number of important posts in the ruling Korean Workers’ Party—we have been waiting to get the first insights into how the youngest son of Kim Jong Il will be fitted into the ideological system of the Democratic People’s Republic of Korea (DPRK). To most North Koreans, he emerged almost out of nowhere; hence the DPRK’s propaganda apparatus now needs to present a convincing story to solidify his legitimacy as the next top leader. Much more than a purely academic question for Pyongyang watchers or another expression of a bizarre Stalinist cult of personality, this is one of the key issues that will determine political faith in Kim Jong Un. More importantly, it will be a major factor in determining the future of North Korea, which is of course of great concern to its neighbors, the United States, and the international community. Accordingly, even the slightest development regarding the role of Kim Jong Un has to be taken very seriously. However, due care must be taken also that we do not only see what we want to see. On December 1, I received a picture of what could have been the first painting of Kim Jong Un. Percy Toop, a Canadian tourist, had photographed it on October 27, 2010, at the Rajin Art Gallery in the northeast region of the country. To him, it seemed to be a recent addition to a group of Kim family pictures, including those of Kim Il Sung and his first wife Kim Jong Suk, and their son Kim Jong Il who is the current leader of North Korea. Canada’s Globe and Mail reported enthusiastically about the painting Saturday on its front page. 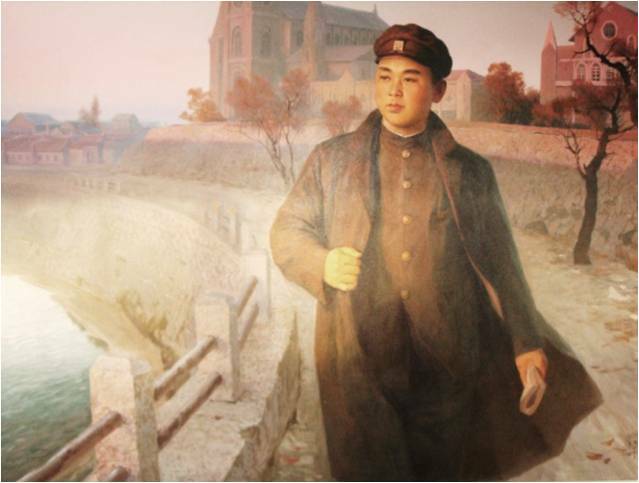 The painting shows a young Korean man standing at a lake (or a river) in what could be Europe, with a large gothic cathedral in the background. He stares into the direction of the rising sun—East, where his home country is located. Or is it West, where the sun sets? His face shows a mix of sadness and resolve. His cap is almost identical to the one worn by Kim Il Sung at that age both in paintings and photographs. The suit is of the style that was worn by Kim Il Sung and others during the colonial period (1910-1945) and thereafter. At first, most experts (including myself) thought: This is Kim Jong Un in Switzerland. Or is it another Kim Il Sung painting? The clothes and the young man’s face strongly resemble Kim Il Sung. The cap even seems to be identical. There is no clearly distinguishable badge on the young man’s chest. Kim Il Sung would not wear one, of course. But wouldn’t Kim Jong Un, like any other North Korean? This seems sufficient to declare that the man in the picture is Kim Il Sung. In North Korea, things are not that simple, however. The artist’s and the propagandists’ goal could have been to make Kim Jong Un look as much like his grandfather as possible. Observers noted this phenomenon when the younger Kim first appeared in public during the Party Conference in September 2010. His face, his hair-style, his clothing—it almost seemed like the Eternal President had returned from the dead. And North Koreans abroad do sometimes take off the badge, in particular if they are undercover. It is therefore less helpful to focus on the man in the painting if we want to know who he actually is. The key seems to be the scenery. At first glance, it strongly resembles what could be Switzerland, France, or Germany. However, Kim Il Sung had not been to Europe before 1956, at least not officially. Other revolutionaries are rarely depicted in this style, which is reserved for the leader. So if this is Europe, then chances are good that the young man in the picture is Kim Jong Un. But is it Europe? Neo-gothic style church buildings have been erected on many other continents. When walking from my home in Manhattan to my office at Columbia University a few years ago, every day I passed by the Cathedral Church of St. John the Divine—built in the early 20th century but looking very similar (at least to a layperson) to the medieval cathedral of Notre Dame in Paris. In fact, the building on the picture could be the Catholic Church at the bank of Songhua River in Jilin city, China (see this recent photo taken by Ken Larmon). The former Jilin cathedral is actually further away from the river; but the painter may have taken artistic license. The clerical building does not do much to help us be sure of the location. So we look to the left. In the background, there are small houses that definitely look European—or do they? When recently traveling through the three provinces of northeast China, I was shown different styles of houses, by which one was able to tell whether they belonged to Han Chinese or to the Korean minority. The first two buildings from the left could be Chinese; the third one even seems to have an “East Asian” roof. There are other facts suggesting that this is indeed China and not the richer part of Europe. If the man depicted is Kim Jong Un, then we would see a Swiss town at a lake around the year 2000. Switzerland is an affluent country, and houses with a lake view would be very expensive. They should therefore look much more sophisticated than those rather simple cottages. Moreover, European cities have been built and grew around their churches or cathedrals. The one in the picture seems to stand rather isolated. Last but not least, a typical image of a Swiss town would often include the Alps. But there are no mountains in this picture. Accordingly, the background seems to suggest that this is actually China, not Europe. A few doubts remain since the scenery is relatively blurred. But at least we can by no means be certain that this is Switzerland. The dating of the painting does not provide a clear answer either. On the contrary, it raises a number of questions. It is dated February 16, 2001. If this is correct, we can almost exclude that the man on the painting is Kim Jong Un because even if the decision to promote him to become the next leader of North Korea was made around 2005, it would still have been painted too early. However, this is, again, not the final answer. Those of us dealing with art and propaganda of North Korea know that documents and paintings have frequently been backdated in order to make new policies look less like changes. Prominent examples include songun (“military first”) and juche, North Korea’s doctrine of self-reliance. We can therefore realistically expect that Kim Jong Un’s history will be backdated at some point. A puzzle is the date: Kim Jong Il’s birthday. Not many North Korean paintings carry such an exact date. And what does it mean? Is it meant to be understood as the birth date of the son of Kim Il Sung? As a tribute paid by Kim Jong Il to his father or as another attempt at connecting himself to his revolutionary tradition? This would make sense in particular as the painting was found in a city that is geographically very close to China. Kim Il Sung spent a considerable time during his youth in northeast China, a fact that is regularly mentioned in North Korean propaganda. The frequency of such references has sharply increased amid what seems to be a campaign to increase awareness of a traditional China-North Korea closeness. So the painting might actually be part of the new policy of emphasizing the joint revolutionary past of the two countries, of trying to placate Chinese visitors who have made substantial investments in the region. The fact that the 2010 Arirang mass performance has a whole new chapter on this China-North Korea friendship is another example out of many. Or is the date a reference to the father of the young man in the painting? Again, no conclusive answer. Do we know the artists? 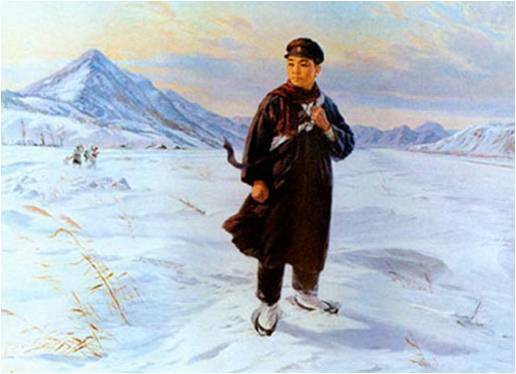 According to one of the few long-standing Western experts on North Korean art, who asked to remain anonymous, at least one of the two artists whose name is on the painting, Im Hyòk, is fairly well known as a painter of chosònhwa (the traditionalist brush-painting style developed and popular in North Korea). He also points out that similar paintings (such as Kim Il Sung by the Songhua River in front of the catholic church) were spotted back in the 1980s. In other words, this is not the only painting of its kind, and it is by no means new. In North Korean Studies, we know this effect as the Columbus Complex. That is, in 1492 Columbus thought he had discovered America, although the Vikings and, of course, the Native Americans were there long before. The fact that the painting appears in a relatively remote region of North Korea, rather than in the capital Pyongyang, also invites different interpretations. We would expect the beginning of a new cult to be visible first in the center of propaganda—the capital city. On the other hand, long-time North Korea experts agree that it is often easier to get new insights in the provinces because control there is less tight. 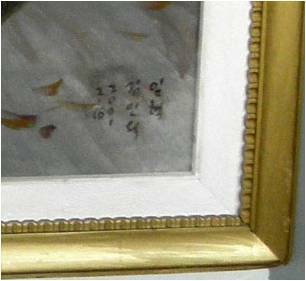 It seems that unless we receive an official confirmation from a North Korean authority (the painter or the gallery) about the identity of the man on the painting, we will not be able to know for sure whether this is another painting of Kim Il Sung or the first known painting of Kim Jong Un. The facts as presented above seem to suggest that this is not the younger Kim in Europe—as exciting as this would have been—but rather Kim Il Sung in northeast China. To be more precise: this is most likely a hoax. However, we can nevertheless speculate what the implications would have been if it were the grandson. Sooner or later, such paintings will emerge, and the new leader’s personal history will eventually have to be written and presented to the public in a way consistent with the ideology of North Korea. So let’s pretend. According to the official mythology around the top leaders, in 1925 Kim Il Sung—at that time still called by his real name Kim Song Ju—left his home country at the tender age of 13 for Manchuria. He did so promising to return only after he had liberated his then occupied country from Japanese colonial oppression (picture 2). I have already noted the similarity of the man in the painting with Kim Il Sung. That impression might be part of the plan. Kim Il Sung enjoys very high popularity among the North Korean people. We repeatedly hear complaints that under his rule, life was much better. I have argued elsewhere that it will be difficult to legitimize a third-generation leader based on his blood relationship to Kim Jong Il. Rather, by presenting him as yet another brilliant descendant of Kim Il Sung, North Korean propagandists might have found a way of perpetuating leadership for an indefinite time. The open question is what type of leader Kim Jong Un and those who will or will not come after him will be—another dictator like Mao Zedong, or another head of an autocratic collective leadership like Hu Jintao. Aside from these general questions, what matters most for the immediate future of Korea is what kind of policy we can expect from Kim Jong Un and his group. Will he be a hard-line leader, as some analysts have concluded from the artillery shelling of Yeonpyeong Island on November 23, or will he be the long-needed reformer who leads his country out of the current economic dead end? Will Kim Jong Un become North Korea’s Deng Xiaoping? How nice would it be if the Rajin painting could provide us with some clues on this? If it really did depict Kim Jong Un (which, I repeat, is very unlikely), we might find reasons for optimism. According to longstanding rumors, Kim Jong Un spent a considerable part of his youth in Europe, where he got in touch with a world that is, to say the least, very different from his home country. The painting would indicate that this time spent in the West will not only be acknowledged; it might become a core part of his myth. In any case, it will be interesting to see if and how the North Korean propaganda machine will explain Kim Jong Un’s departure from his home country. Back in 1925, Kim Il Sung left because the situation in colonized Korea was disastrous and he wanted to liberate his country. The reason and theme for Kim Jong Un’s journey will obviously have to be different. Not being on the peninsula represents an almost unbearable pain for any good Korean patriot. In that sense, living abroad is a major self-sacrifice; at least it will be depicted as such. Self sacrifice is a recurring theme of the cult not only of Kim Il Sung’s first wife Kim Jong Suk, but also around Kim Il Sung and Kim Jong Il as reflected in numerous stories and paintings of long working hours, restless travel around the country, caring about every little detail, sharing their simple food with the soldiers, sleeping on the floor in a peasant’s cabin and so forth. Therefore, we have reason to believe that Kim Jong Un’s exile will either be negated, or displayed as a period of deliberately endured hardship in order to study the enemy. Another tradition, starting in the 19th century as “Eastern Way, Western Technology” and in present times incorporated into juche, might also offer some insights. It urges Koreans to pick up foreign wisdom, eliminate all the wrong elements and apply this new version perfectly to the specific conditions of one’s own country. But who sent the young Jong Un abroad to endure all this “pain?” Was it his father, or his grandfather? The latter version would almost perfectly establish a direct connection to Kim Il Sung, the very source of power and legitimacy in North Korea. However, if Kim Jong Un is indeed 27 years old, as our media report, he must have been born around 1983. 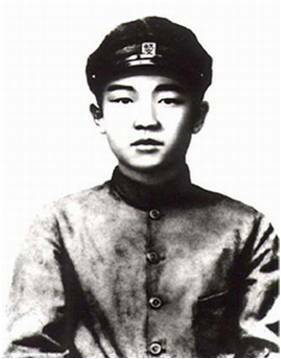 Kim Il Sung could then not have sent him abroad at the age of 13, as he died in 1994 when Jong Un was only 11 years old. Accordingly, either this one parallel with the Kim Il Sung story will be abandoned or we will see a correction of Kim Jong Un’s birth date back to 1981, which could then make his self-sacrificial journey to the West a kind of last dying wish of Kim Il Sung. This has been done before; Russian sources insist that Kim Jong Il was actually born before 1942. If North Korean propaganda claims that Kim Jong Un was sent abroad upon the wish of his grandfather, then this would establish the so-far missing link between the new leadership and the first generation, more or less bypassing the second generation represented by Kim Jong Il. Kim Jong Un and all future leaders would receive their legitimation directly from Kim Il Sung. If, however, Kim Jong Il will be credited with having sent his son abroad, then this will be a sign of generation-to-generation legitimacy along the bloodline. Last but not least: For those who, like myself, insist that North Korea will eventually have to return to a policy of cautious but inevitable economic reform, the fact that the new leader’s Western experience is becoming a core part of his myth (or the “text,” as Brian Myers calls it in our forthcoming book on North Korean arts referred to in footnote 2) would raise hopes for an attempt at “reforms our style” in the near future. Against the background of the current military confrontation in the Korean West Sea, and considering how desperately the North Korean economy needs a clear decision in favor of reform and opening, this is a ray of hope. You see why it is so tempting to brush all doubts aside and treat the painting as being one of Kim Jong Un. However, it most likely is not. Similar paintings of Kim Il Sung have existed since at least the 1980s; the background is most likely Jilin, China in the 1930s, and the idea of starting the Kim Jong Un cult in Rajin and with his European exile is too far-fetched. I suggest we use this example both as an etude in the anecdote-based Pyongyangology, and as a warning of how easy it can be to derive far-reaching conclusions from questionable evidence. Do we need culture-specific expertise? Obviously, we do. Otherwise, we risk basing policy decisions on a hoax. Ruediger Frank is professor of East Asian Economy and Society at the University of Vienna. Thanks to Koen De Ceuster for this clue. Due credit needs to be given to Aidan Foster-Carter for using this term during the Symposium on “Exploring North Korean Arts” in Vienna, September 3, 2010. A book based on the symposium edited by Rudiger Frank and including chapters by the experts quoted in this article is forthcoming. See http://wirtschaft.ostasien.univie.ac.at/fileadmin/user_upload/lehrstuhl_wirtschaft_ostasien/Konferenzen/KOREA_FolderSymposium_04.pdf.